There’s no getting around it. 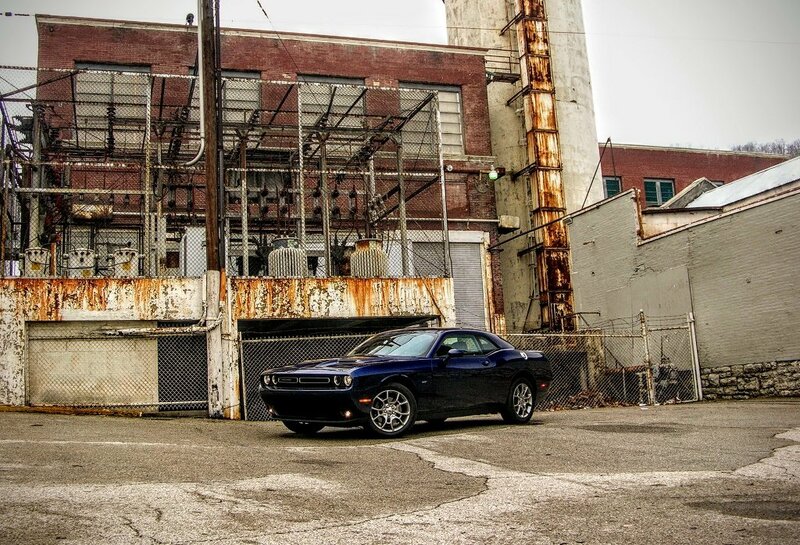 The all-wheel drive Challenger GT is one hell of a unique spin on American muscle car culture. Vibrant buyer interest in all-wheel drive versions of the Charger have caused the iconic coupe to morph into a surefooted snowshoe hare, an animal that prefers stability and agility over brawn and bite, and quite frankly we love it. 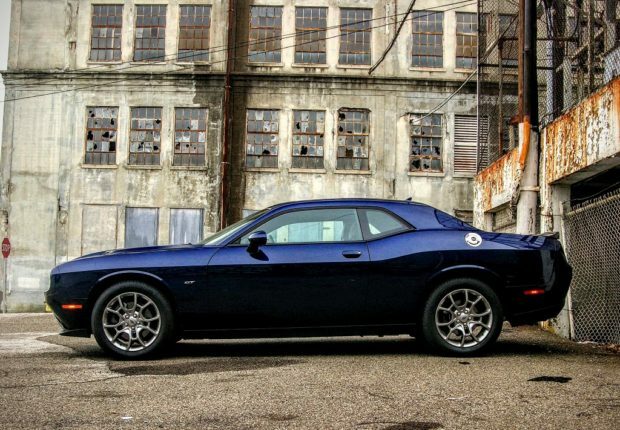 Unlike the R/T or the Hellcat, the all-wheel drive Challenger is a muscle car that’s been engineered to appeal to anyone seeking a shot of driving confidence, all while retaining some level of reason. It’s a vehicle that allows surefooted sensibility to mate ceremoniously with performance fun in a machine that’s somewhere between sleeper and archaic skull-crusher. The GT is an unexpectedly solid stab at daily driven fun, and although it does feature a few glaring issues, it’s place as the only all-wheel drive muscle car on the market makes for one hell of an interesting sales pitch. The first thing you’ll notice about the GT is that while it may look like a base-born Challenger on the outside, its interior is awash in respectable standard upgrades. Leather touches from seat to steering wheel and over to the shifter feel plush, heated and ventilated surfaces activate quickly, power adjustments are plentiful, and holy hell are there some fun tech touches. Everything from “Dodge Performance Pages” and both Apple CarPlay and Android Auto connectivity, to that sleek, 7-inch reconfigurable digital gauge cluster are on board and don’t cost a dime extra. 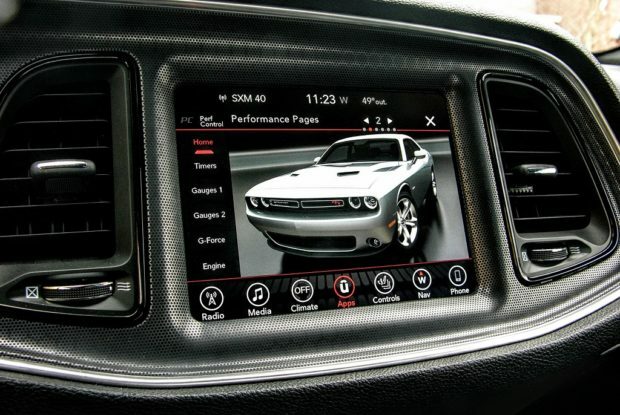 Freebies aside, my Challenger did come with a few upgrades, including a thundering, 18-speaker Harman Kardon audio upgrade for $1,595, a $1,200 sunroof option, and the $795 Uconnect 8.4 navigation system. This last feature comes loaded with GPS navigation, SiriusXM Traffic Plus, and a 5-year subscription to Travel Link, so it’s well worth the additional dough. 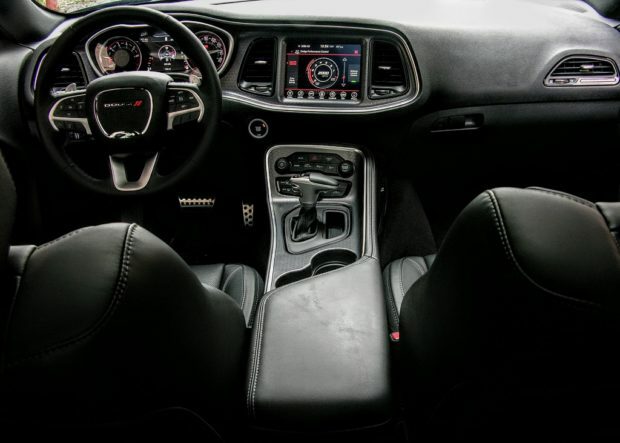 Buyers can also opt for an interior upgrade package, a tech suite, and various other Challenger-exclusive goodies. 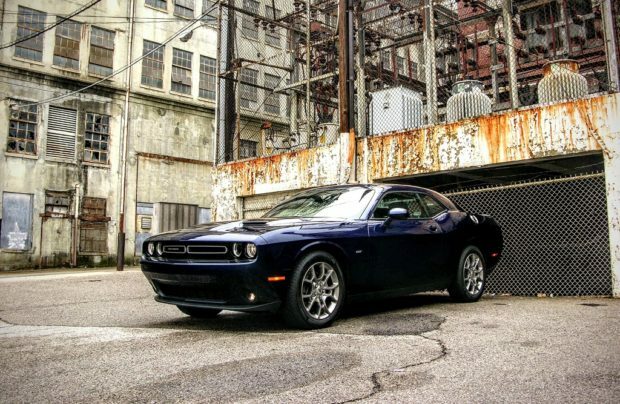 But people don’t buy muscle cars for their tech features and audio systems, and Dodge has wisely decided to make the GT as engaging as possible for performance fans and practical drivers alike. Power to the front wheels can be manually disengaged for increased fuel gains (up to 27 miles-per gallon on the highway), and Sport mode firms everything up save for the suspension. 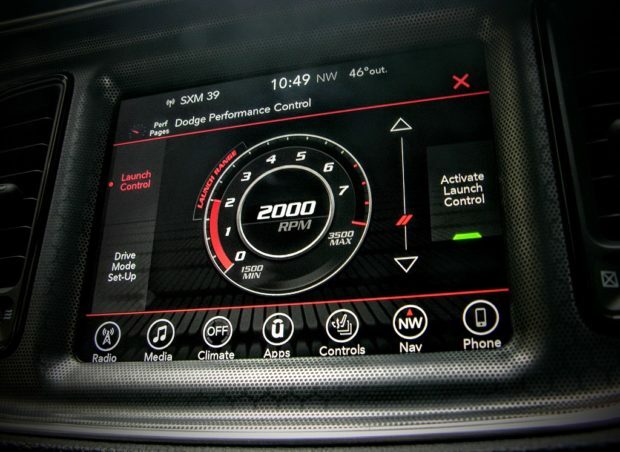 There’s also a “Super Track Pak” button, which allows drivers to manually toggle things like steering inputs, traction, and engine/transmission responses for a custom fit, while launch control sits just one performance page away. 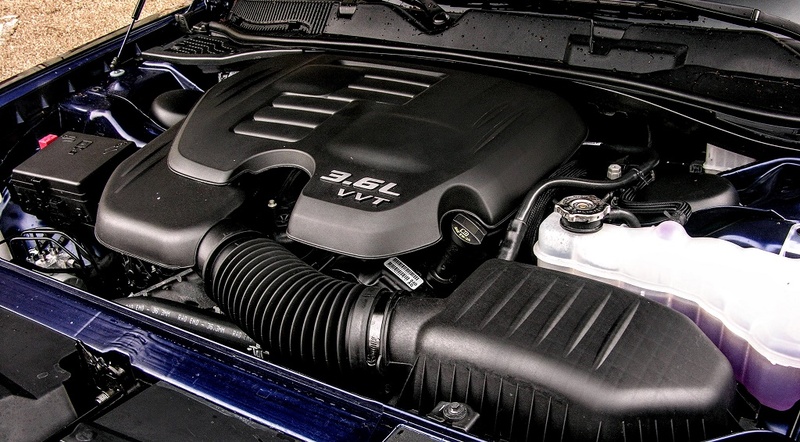 While the 3.6-liter Pentastar V6 beneath the bonnet generates a respectable 305 horsepower and 268 pound-feet of torque, speedy acceleration remains a muffled affair thanks to the surprisingly subdued true dual exhaust. But where the smooth-sailing V6 and TorqueFlight 8-speed automatic land somewhere between refined and rev-happy, the GT’s performance brakes and recalibrated suspension are what really left us impressed. It’s still a portly creature, and is by no means nimble, but the GT does an amazing job of offering unprecedented amounts of stability when the road begins to twist and road surfaces go to pot. Speaking of traction, let’s talk a bit about the all-wheel drive system in the Challenger. 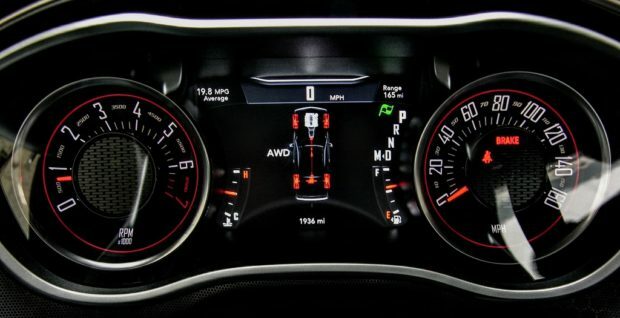 Dodge did the right thing and made sure that this system engages all four wheels when things like slip, windshield wipers, heavy throttle, Sport mode, and paddle shifters are engaged. So drivers get peace of mind in knowing that the car will automatically offer additional traction well before it becomes a concern. When we first tested the GT out in the snow-covered mountains of Maine, we were impressed with how well the car cut through drifts and maintained its composure on ice. But the people interested in this unique automobile aren’t bounding around like arctic foxes all the time, they’re bumping around town in the rain, running errands, and commuting to the office. Which leads me to my core question: Is the Challenger GT a solid daily driver? In short, yes. From an everyday perspective this car hits all the right notes in the mechanics department. It has the fuel efficiency, safety ratings, traction settings, and gumption to serve up a strong sales pitch to potential buyers, with nary a misstep to be seen. There’s also plenty of trunk space, a backseat that’s roomier than both the Camaro and the Mustang, and it has all those aforementioned creature comforts to make driver enjoyability a priority. But the GT also has all retains many of the common miscues associated with the average Challenger. Panel gaps on either side of the rear bench are massive, the hood scoops are for looks only, center console storage is limited at best, and cheap feeling buttons, knobs, and wiper stalks abound. The rear seat headrests are also permanently affixed, so you get a lot of slop when a child seat gets anchored in. Visibility remains an issue too, and without blind spot monitoring or 360-degree camera views you’re left relying on two of the smallest side mirrors in the industry. I also encountered issues with SiriusXM randomly changing channels on us and the touchscreen being slow to respond. Shifting gears to driving characteristics, I admit that while adding a V8 to the equation would be great, there are several other performance upgrades that I feel would turn this car into an all-out riot. First of all, those 19-inch alloys are only 7.5-inches wide and come wrapped in all-season rubber. Swapping on some SRT rollers in a staggered configuration with some sticky summer compounds would really help the GT pop on the pavement. The Pentastar V6 also has a lot of hidden potential, so adding the right mix of aftermarket bolt-ons might be the ticket to turning this version of the Challenger into a more robust ride. So here’s the hook: Would I recommend the Challenger GT to anyone looking for mild performance fun and an AWD badge? Absolutely. At $33,395 it’s starting price is on point, it’s got enough strength and agility to leave the average performance fan satisfied, and being able to put power to all four wheels or just the rear make it an enjoyable year-round ride. The GT badged Challenger may not be the ideal answer to the age-old gripe that muscle cars can’t corner worth a crap, but it’s certainly a strong step in the right direction. Maybe someday, with just the right amount of pleading and patience we’ll get that V8-powered all-wheel drive version we’ve been pining for. But until that day arrives this variant will suit us just fine.